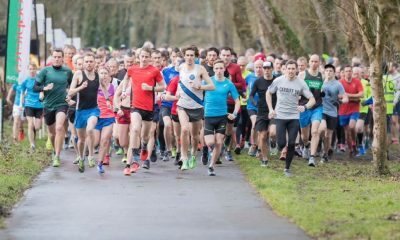 Ben Connor and Luke Traynor star among the British and Irish competing in the Barcelona Half Marathon on Sunday (February 11). 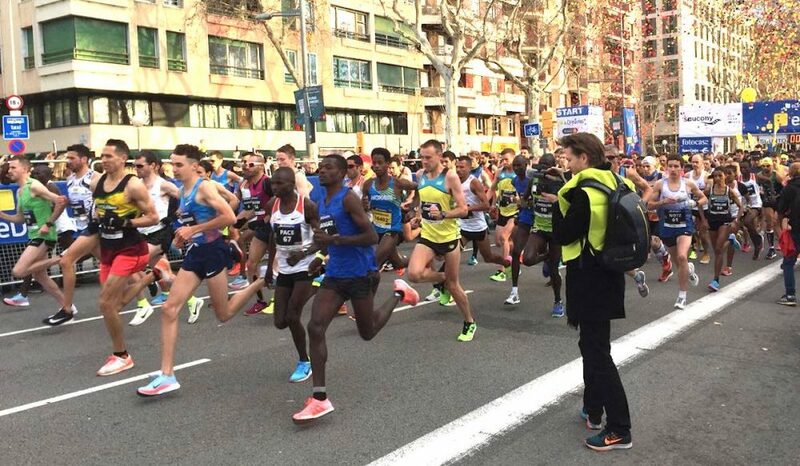 Connor crossed the line in a big personal best 61:12 to finish eighth on the streets of Barcelona, with Ethiopia’s Mule Wasihun taking the win in a course record 59:44 that was previously held by Eliud Kipchoge. The 25-year-old, racing for only the second time over the distance, shows no signs of slowing down after an impressive cross country season in the British vest. Connor improves on his previous best of 64:12 that dates back to the Great North Run in 2016 and now moves to number eight on the UK all-time rankings. The Team New Balance Manchester runner was closely followed by another second timer over 13.1 miles – the impressive Luke Traynor with another PB. Traynor’s time of 61:55 takes a huge two minutes chunk off his 2017 Manchester Half Marathon winning time. 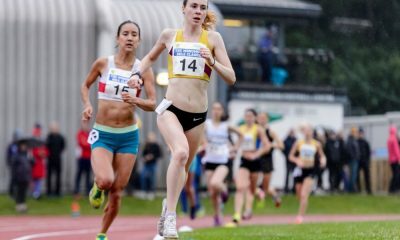 The young Scot’s time is the third fastest ever by a Scottish runner and well under the 65-minute qualifying mark for the World Half Marathon Championships next month. 2:12 marathoner Jonny Mellor also made it into the top ten crossing the line in 63:17, less than a minute outside his 62:23 best in New York last year, while Daniel Studley finished 18th in 64:23. Irish runners Kevin Dooney and Paul Pollock finished 24th and 28th respectively in times of 64:56 and 65:40. For Dooney, who features in the ‘class of 2018’ it was a PB by over a minute. While Swiss runner Julien Wanders clocked a PB 60:09 to finish second and move to fifth on the European all-time list. 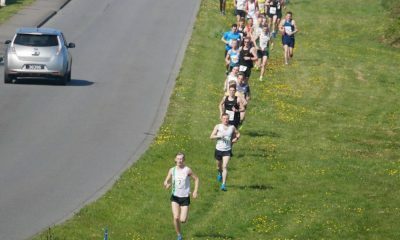 Elsewhere, Eoghan Totten finished 32nd in 66:14 and Nick Samuels finished 40th in 68:18. Olympian marathoner Sonia Samuels was the leading British runner in the women’s race clocking 72:40 to finish seventh among a top field. 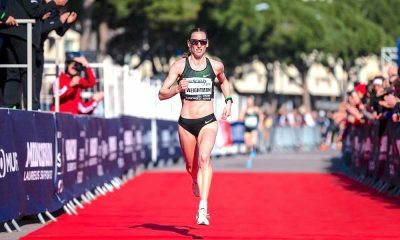 Most impressively the time was just four seconds outside her 2013 best – an encouraging performance for the 38-year-old ahead of the marathon at the Commonwealth Games in April. Katrina Wootton was in hot pursuit and crossed the line ten seconds after Samuels with a personal best 72:50. Wootton’s eighth-place finish takes over 30 seconds off her previous best. Irish Olympian Lizzie Lee wasn’t far behind in 11th with a four-second personal best 73:23. GB World Championships marathoner, Tracey Barlow, also sealed the qualifying standard for the World Half Marathon Championships crossing the line in 74:23 for 16th. Julie Briscoe was the first W40 with 76:08 with Gladys Ganiel from Northern Ireland posting 77:38 to finish 25th. Victory in the women’s race went to Bahrain’s Tejitu Daba in 68:36, with Ethiopian Dibabe Kuma second with 68:37 and Rwanda’s Salomé Nyirarukundo completed the podium in 68:48. Moving from the roads in Barcelona to the indoor boards in Boston, there were personal best performances from Chris O’Hare, Jake Wightman, Steph Twell and Sarah McDonald among others. Catch up on the New Balance Indoor Grand Prix action here.